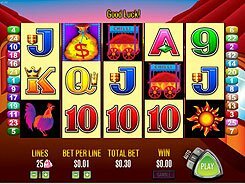 This is an Aristocrat-powered video slot featuring 5 reels and 243 ways to win in lieu of a regular payline system. 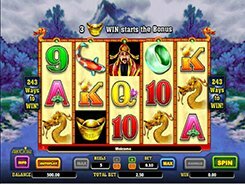 Along with playing card symbols, the slot has a set of Asia-themed icons such as a koi, a golden coin, a dragon, a golden headgear, a nephrite ring and a red packet. 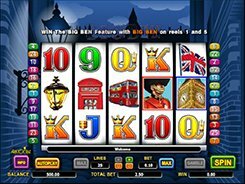 A player may reduce or increase the number of reels between 1 and 5 and this affects the size of minimum and maximum bets. When having all five reels in play, the floor and ceiling bets would be $0.75 and $100 respectively. 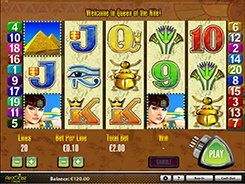 The slot features a wild, a scatter, and the biggest jackpot prize worth 1000 coins. Three Golden Headgears appeared on reels 1, 2 and 3 at a time unlock the free spin feature. 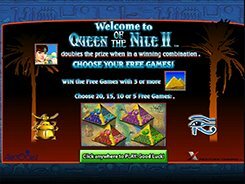 Before the free games start, you are asked to choose the preferred number of spins (5 to 20) to be played that have certain multipliers attached to them (x2 to x30). As a basic premise, the less spins you pick, the higher the multipliers will be. 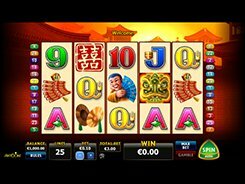 During the free spins feature, the Red Packet symbol pays out a random award of up to 50 coins when landed on reels 1 or 5.